Got Alcohol poisoning Saturday Drank 8 (2 were doubles which I didn`t notice until after drinking) shots of Seagram`s 7. Which would have been fine, but the 3 Shiners I used as chasers were expired.... I didn`t buy them and I was just chugging them down so I couldn`t taste the bad flavor. He now knows why they only cost $6. Apparently it got to where I was only taking 10 breaths a minute. My friend and his wife ended up getting food poisoning from some bad fish as well that night. Good thing we brought our own food to cook. My fianc&#233; was forced to stay at their house with me until 3am when I managed to stagger up and drive us home before hugging our toilet more. I definitely learned my lesson, next time I must wait for the liquor to kick in before I think its ok to have another shot. I was also forced to give my fianc&#233; back rubs all day Sunday to make up for it. Any one try the new miller fortune yet? It`s not bad I`d drink it again, kinda light little more "alcohol" taste then regular Miller lite I`d say not bad for a macro brew, I prefer it over Platinum imo. But then again I`m on a Zwickel and Schnickelfritz ~ Urban Chestnut Brewing Company kick right now. Its about $25/case here. I hated platinum. Drank some Flying Dog IPA this past weekend. Man, it was like shoving a rose bush in your mouth and then a handful of hops in your mouth. Crazy flavor, not really my cup of tea but it was 8.2&#37;. Man!! What does a west coast brother have to do for a KBS?!? Got Alcohol poisoning Saturday Drank 8 (2 were doubles which I didn`t notice until after drinking) shots of Seagram`s 7. Which would have been fine, but the 3 Shiners I used as chasers were expired.... I didn`t buy them and I was just chugging them down so I couldn`t taste the bad flavor. He now knows why they only cost $6. Apparently it got to where I was only taking 10 breaths a minute. My friend and his wife ended up getting food poisoning from some bad fish as well that night. Good thing we brought our own food to cook. My fiancé was forced to stay at their house with me until 3am when I managed to stagger up and drive us home before hugging our toilet more. I definitely learned my lesson, next time I must wait for the liquor to kick in before I think its ok to have another shot. I was also forced to give my fiancé back rubs all day Sunday to make up for it. I thought I responded to this a while back. Man you gotta slow it down lol. I still have some blackout nights which used to be funny but are now scary with a family. You are right, thanks for the advice. I have now limited myself to a max of 4 shots a night. Had some Jim Beam last weekend for the first time and that Flying Dog IPA. I was fine since I didn`t keep drinking too fast. I think that`s all it is. Every once in a while I just take shot after shot and don`t let the alcohol kick in. So I think im good, then an hour later I realize im in trouble. Im on the hunt for a very nice scotch or whisky to buy that I can just sip on properly and enjoy the night. got some Buchanans, which is alright. per Ralfy from youtube I would like to try Balblaire `02. Was his 2013 whisky of the year. Is it sweet? Trying to stay away from the sweet stuff. Maybe ill have to give it a try. I think I know which one you are talking about, comes in a little cloth container that has the Tx flag on it if im not mistaken. BTW any of yall watched Richard Peterson`s videos on youtube. Dude is crazy. He chunks the first pour of whisky out every time he gets a new glass. I tried some of it a few weeks ago because it was only $2/bottle and I have to admit I was surprised that it did not taste bad. 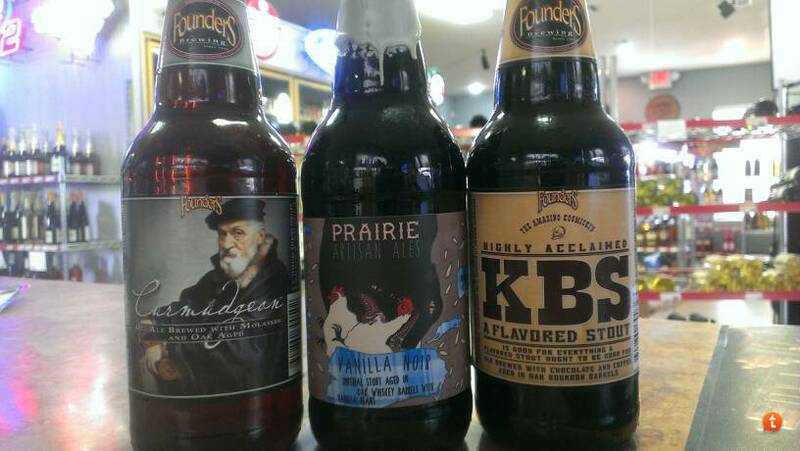 For $2 each I will purchase it when I am out because I don`t like paying a lot for crappy beer. That`s crazy, well I need to follow that guy around and drink the first pour for him! Double Barrel and Tx Whiskey are not `sweet` I would say. They are definitely not as bold as a bourbon but they have very nice chocolate and spice nodes to them.